But is that what the verses really mean? Scrutiny shows the fallacy of the Replacement interpretation. Romans 2:28–29. Here Paul said, “For he is not a Jew who is one outwardly, nor is circumcision that which is outward in the flesh; but he is a Jew who is one inwardly; and circumcision is that of the heart, in the Spirit, not in the letter; whose praise is not from men but from God.” Replacement theologians use this passage to say the term Jew has been changed to include Gentile believers and that being a true Jew is not based on ethnicity but, rather, on an inward commitment to God. Thus they claim the passage proves God has redefined Israel to mean the church. Their interpretation is based on the assertion that Paul included Gentiles when he spoke of him who “is a Jew.” However, these verses fall into the larger section of Romans 2:17—3:20 in which Paul’s subject is ethnic Israel. In Romans 2:28–29 Paul spoke exclusively of Jewish people. He was making the point that a true “Jew” is one who trusts in God through faith in Christ. These verses cannot teach that Gentiles are spiritual Jews because Gentiles were not even being discussed. Paul was simply distinguishing between Jewish people who believe in Jesus and Jewish people who do not. Romans 9:6. 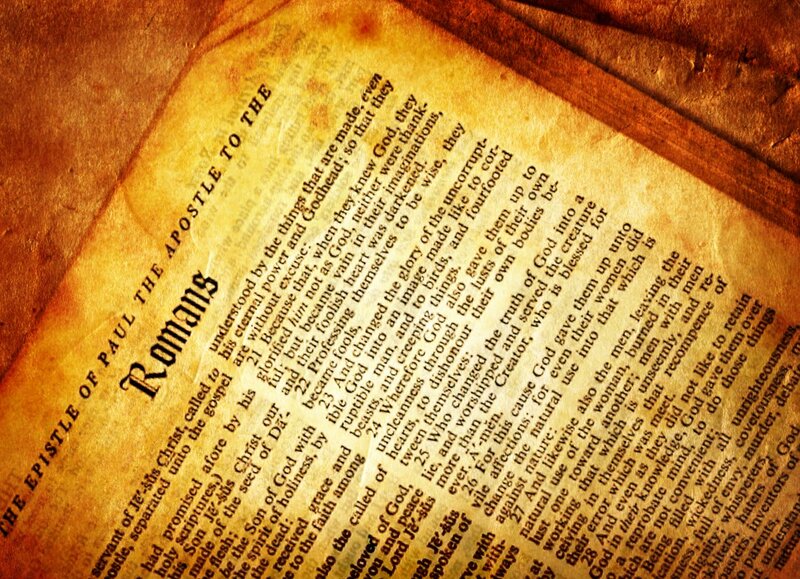 Another text is Romans 9:6: “But it is not that the word of God has taken no effect. For they are not all Israel who are of Israel.” Replacement theologians claim Paul was distinguishing between ethnic Israel and spiritual Israel. They believe he taught that spiritual, or “true,” Israel is comprised of all believers, including Gentiles, and is made of those who are spiritually, not physically, related to Abraham. However, as in the previous passage, Paul was not speaking of Gentiles. He was speaking exclusively of the Jewish people, teaching there is spiritual Israel inside of physical Israel; and he identified the believing Jewish remnant as true Israel. So not all of Jacob’s physical descendants will inherit God’s promises to Israel. Nevertheless, this verse does not say the church has replaced Israel or that God has rejected the Jewish people. “All Israel” refers to the elect, both Jewish and Gentile. However, the language in Romans 11:25 makes this view a difficult fit. “All Israel” refers only to elect Jews and not to all Jewish people. “All Israel” refers to a future time when a majority of Jewish people will embrace the Messiah. None of these interpretations explains Paul’s argument in Romans 11. There are 10 other references to Israel in chapters 9 through 11, and each refers to physical Israel—the Jewish people. The obvious implication is that Romans 11:26 can only refer to physical Israel. Taken in the context of the verses that precede it, the grammar argues for a sequence of events. In 11:25 Paul spoke of a period of Jewish spiritual blindness, when salvation is readily available to Gentiles. But there is a future time when all Israel will be saved (v. 26). So Paul’s teaching in Romans 11:26–27 links Israel’s national repentance with Old Testament promises of Israel’s restoration (Jer. 31— 32; Ezek. 36; Zech. 12). Through the apostle Paul, God clearly declares there is indeed a future for Israel, meaning the Jewish people. Not only does Romans 11:26 not teach Replacement Theology, but it teaches precisely the opposite. Replacement theologians say Peter used Old Testament descriptions of Israel to identify the church, thereby redefining Israel as the church. They also say Peter taught that the church is new Israel and that God’s “chosen people” are now the spiritual, rather than physical, descendants of Abraham. To understand Peter’s teaching, it is necessary to know whom Peter was addressing. He likely was addressing Jewish believers who had been dispersed throughout the Roman Empire. Peter was first and foremost an apostle to the Jewish people, according to Paul’s testimony in Galatians 2:7–8 and Peter’s ministry in Acts. In 1 Peter 1:1, Peter addressed the “pilgrims of the Dispersion,” a title that would naturally fit first-century Jewish believers but not Gentiles. In addition, Peter used the Septuagint to quote the Old Testament. It would be highly unlikely he would use the Septuagint for Gentiles but natural to use it when speaking to Jews. In fact, Peter’s arguments in 1 Peter would have been difficult for Gentiles to grasp; but a Jewish audience would have understood them easily. Since Peter likely was writing to Jewish believers, he would have found it natural to use Old Testament titles of Israel. Peter was not teaching that the church has appropriated the Old Testament titles of Israel; rather, he used words his Jewish audience would readily identify with. This passage does not teach God has replaced Israel or made the church the new or true Israel. None of the New Testament passages that are favorites with Replacement theologians contain an actual statement by God that He has replaced Israel with the church. At most, they teach that the church shares the spiritual promises given to Abraham. This is inclusion of the church, not exclusion of Israel. Unless otherwise specified, all references to the church refer to the church in its broadest sense, including Roman Catholic, Orthodox, Protestant, and evangelical.